Then [Jesus] began to say to them, “Today this scripture has been fulfilled in your hearing.” 22 All spoke well of him and were amazed at the gracious words that came from his mouth. They said, “Is not this Joseph’s son?” 23 He said to them, “Doubtless you will quote to me this proverb, “Doctor, cure yourself!’ And you will say, “Do here also in your hometown the things that we have heard you did at Capernaum.’ ” 24 And he said, “Truly I tell you, no prophet is accepted in the prophet’s hometown. 25 But the truth is, there were many widows in Israel in the time of Elijah, when the heaven was shut up three years and six months, and there was a severe famine over all the land; 26 yet Elijah was sent to none of them except to a widow at Zarephath in Sidon. 27 There were also many lepers in Israel in the time of the prophet Elisha, and none of them was cleansed except Naaman the Syrian.” 28 When they heard this, all in the synagogue were filled with rage. 29 They got up, drove him out of the town, and led him to the brow of the hill on which their town was built, so that they might hurl him off the cliff. 30 But he passed through the midst of them and went on his way. Last week was Jesus’ first sermon recorded in Luke back in his home congregation in Nazareth. Today’s text continues, even overlaps a verse, and includes the congregation’s response to it. In a word, it wasn’t a great response. I can’t imagine going back to my home church in Salt Lake City right after seminary and preaching my very first public sermon ever. And the congregational response is to drive me out of town and try to throw me off a cliff. I think I’d likely rethink this whole preaching thing as a career choice. But we need to look at why they tried to throw Jesus off a cliff. He was their hometown hero at this point. His reputation as a preacher and teacher had spread throughout Galilee already. Everyone was amazed at him and they all praised his ability. Then Jesus gives them two examples from their own scriptures. In a famine which lasted 3 ½ years, God’s prophet Elijah wasn’t sent to his own people in Israel, but to a poor Gentile widow from Sidon. And later, God’s prophet Elisha was sent to heal only one leper, and that wasn’t someone from Israel, but a man from Syria. Jesus found out that apparently, people get mad when you say they are no more deserving of God’s power than anyone else. Apparently, they are enraged when you let them know that their enemies are at least as favored as they are. And apparently, they try to kill you when you tell them God doesn’t tip the scales in their favor. Let’s not get too judgmental about these hometown folks in the synagogue in Nazareth. Because that attitude of being God’s favorites, of being more entitled to God’s salvation, and more deserving of God’s help is still pretty prevalent among us. For the people in Nazareth, they feel more entitled because they know Jesus. For us, we feel more entitled because . . . we know Jesus. We’re Christians, we believe in the Triune God, which includes Jesus. We know the Lord’s prayer, we confess Jesus as Lord, and we are good moral people—in his name. We honestly try hard. That’s gotta be worth something, doesn’t it? If God is going to help anyone, it oughta be someone who knows God’s son, right? If anyone is saved, it should really be those who know Jesus, shouldn’t it? Don’t we still kind of believe that we as Christians (especially as Lutherans; and even more especially as Americans) are somehow favored? That we’re just a bit entitled? That we should get God’s attention first? Think about it. We trust that we who go to Christian churches are destined for heaven, but aren’t so sure about those that go to the Mile Hi Church of Religious Science on Alameda. We are in favor of converting non-believers, but not so enthusiastic about loving them. We pray for the safety of American troops, but rarely pray for the safety of enemy troops. We welcome educated European immigrants, but put up walls to keep out poor Central American ones, and bans to keep out Muslim ones. In Nazareth, people thought Jesus was great when he said things they liked. But they were ready to kill him when he said things they didn’t. We can listen to those parts of Jesus’ teachings that we agree with and that seem to be good news for us personally, e.g., you’re forgiven, I go to prepare a place for you, today you’ll be with me in paradise, those who believe and are baptized will be saved, etc. It’s easy to find Jesus amazing! We also need to hear the parts that are hard, and trust that since they’re coming from Jesus, they’ve got to be good news too. E.g., love your enemies, forgive everyone, serve the poor, protect the immigrant, and accept the reality that we are not more favored because we know Jesus. Like the folks in Nazareth, it can be hard to follow Jesus when we hear these things. But the good news is Jesus. Not just some of his teachings, but Christ himself. In this crucified and risen one is God’s vision for us and for all creation. This Christ is present and comes and calls and invites all of us into God’s redemptive work in the world. He brings it—all of it—into our hearts and into our lives. The good news for the world is Jesus—all of him. Jesus has come. Not just for us, but for the whole world. As Jesus said to those in Nazareth, “Today, this scripture has been fulfilled in your hearing.” Christ has come into the world, and has come to us. Whether easy or hard, it is good news! “Then the kingdom of heaven will be like this. Ten bridesmaids took their lamps and went to meet the bridegroom. 2 Five of them were foolish, and five were wise. 3 When the foolish took their lamps, they took no oil with them; 4 but the wise took flasks of oil with their lamps. 5 As the bridegroom was delayed, all of them became drowsy and slept. 6 But at midnight there was a shout, “Look! Here is the bridegroom! Come out to meet him.’ 7 Then all those bridesmaids got up and trimmed their lamps. 8 The foolish said to the wise, “Give us some of your oil, for our lamps are going out.’ 9 But the wise replied, “No! there will not be enough for you and for us; you had better go to the dealers and buy some for yourselves.’ 10 And while they went to buy it, the bridegroom came, and those who were ready went with him into the wedding banquet; and the door was shut. 11 Later the other bridesmaids came also, saying, “Lord, lord, open to us.’ 12 But he replied, “Truly I tell you, I do not know you.’ 13 Keep awake therefore, for you know neither the day nor the hour. “Repent! Jesus is coming soon!” is the cry of some Christians. Their point is that you better be ready when Jesus shows up, because your eternity hangs in the balance. Texts like this one in Matthew are used to prove their point. The five foolish bridesmaids are locked out of the wedding banquet (heaven) when the bridegroom (Jesus) comes, because they didn’t have oil for their lamps (weren’t ready). And “readiness” means whatever. Although there is an accurate element of being ready for Jesus to come at the end of time, there is, on the part of many of these kinds of Christians, a misunderstanding of what that means. This parable isn’t just about being ready for the end of the world, it’s about being ready when the end of the world is delayed. The only difference between the five wise and the five foolish bridesmaids is preparation for the wait. All of them are invited to be part of the wedding procession. All of them bring their lamps. All of them wait. All of them get tired when the bridegroom is later than expected and fall asleep. All of them, when awakened, trim their lamps. The only difference is that five were ready for the delay, and five weren’t. In the gospel of Matthew, there are lots of these “judgment” scenes—what Amos today refers to as “the day of the Lord.” Some call it the final judgment, others the 2nd coming of Christ. There are all kinds of bad theologies (movies?) around all that, but it is a recurring theme in Matthew. So we need to deal with it. That may be true, but what does that say about our preparation? And, for that matter, what does it mean to be prepared, as this text says? What “the day of the Lord,” and all the other terms, usually refer to is God finally making things right. God’s vision, God’s justice, God’s ultimate peace become the full reality, especially regarding the poor. Every time God’s people begin to act in ways contrary to God’s vision of justice, the prophets cry out that “the day of the Lord” is coming. Where will those who ignore the poor be then? Look out, they cry! It is coming! That’s picked up in the New Testament, too. Jesus is expected to return somehow at the end of time and bring about God’s ultimate justice and righteousness, establishing once and for all God’s peace where everyone has enough, everyone is fed, everyone is loved, everyone is forgiven. Matthew gets pretty dramatic about it, the only gospel that really gets into the “weeping and gnashing of teeth” thing. But like so many other places in Matthew, it’s done to get our attention, to be seen as important. Jesus tells his disciples at the end of this parable to be ready, because though delayed, that day of God’s reign of peace is gonna come. The question for the bridesmaids, then, is “are we preparing for the day of the Lord—for peace?” Are we preparing to live in God’s reign where everyone is being cared for, where everyone lives without fear of violence? Seriously, are we preparing ourselves and our world to live in God’s peace, to live without violence? It’s one thing to wish the world was less violent. But it’s another thing to actually prepare to live in non-violence—to have the oil. Speaking for myself, I relate well to the foolish bridesmaids, who, because I’ve been waiting so long for some slowing down of violence, have grown tired. I admit that in some ways I’ve abandoned hope that our culture can ever give up our obsession with violence. I hardly blinked after the latest mass shooting in a Texas church a week ago. I knew, before the body count, before the motive of the shooter was known, before we were told whether there was racism or terrorism or mental illness or domestic violence what the responses would be. The same responses over and over. “Don’t politicize this tragedy!” “We need better gun laws!” “If more people had more guns this would stop.” “If we closed the loopholes on gun sales to the mentally ill we could solve this.” On and on. Again and again. Over and over. The same rhetoric having the same results. Which are: none. So we lose hope as we wait for the next inevitable shooting, the next attack, the next act of mass violence. Couple of days, then we’ll start the useless rhetoric all over again. I would say that qualifies as not preparing to live in a world of God’s peace. I’ll tell you now, if suddenly God’s peace broke out in the world, no one would be more surprised than me. My oil has run out in my waiting. God’s non-violence and justice haven’t arrived, and I’m no longer ready. I’ve discovered that I’ve even quit preparing for it. It seems beyond hope now. So this parable is for me. Maybe it’s for you, too. The bridegroom is coming, though he’s quite delayed. The day of peace will arrive, though it seems beyond hope today. Violence will end, though I can’t even imagine it now. Call it whatever you want: the day of the Lord, the 2nd coming of Christ, the end of time, whatever. We are called to prepare to live in a world of God’s peace and justice, a world without violence. Which means practicing non-violence. Paying attention to the movies we watch, the games we play, the way we speak, the politics we heed. Even when confronted with violence in our world, we practice what non-violence would look like. The day is coming. The peace of Christ will eventually rule in our hearts and minds. God’s day of justice will arrive. We can be ready. We can prepare to live in real peace. There’s plenty of oil for our lamps to light the way for the presence of Christ. Let us fill up our lamps today, and prepare for Christ’s peace. This parable today is a strange one. A king’s son is getting married—about the biggest event in the life of a kingdom. So the king hosts a huge wedding banquet. He’s already sent out a “save the date” card, and now he’s calling them to come. He calls them twice: the first time they wouldn’t come, the second time they simply went about their own business. To say that one’s own priorities are more important than the king’s is basically saying that the king isn’t the king. These invited guests make their sentiments very clear by killing the servants of the king who come to bring them to the banquet. This is God’s all-inclusive grace. 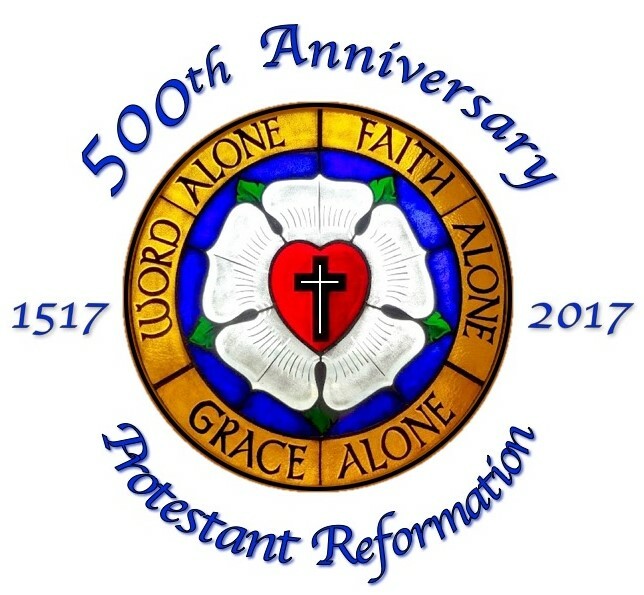 It’s one of the pillars of the Protestant Reformation 500 years ago. God includes us by grace, not because we are good have done the right things or believe the right things. We are saved by God’s grace. Independent of anything else. That’ s who God is. So, by the king’s grace, all these people have now been included in the wedding banquet for the king’s son. They’ve all been invited. They all get to come. That would be a wonderful ending to the story. In fact, Luke, in telling a similar parable, does end it there. Hooray! We’re in! Grace is neat, isn’t it? But Matthew doesn’t stop. Because Mathew reminds us that there’s more to discipleship than just getting into heaven. There’s following Jesus now. There’s standing up with Jesus now. There’s living out God’s agenda now. Which leads us to the guy in the parable who comes to the wedding banquet but won’t wear a wedding robe. This person, who’s now included by the grace of the king, who has accepted the king’s invitation, who shows up at the king’s banquet, is still choosing to do things his own way. So he’s tossed out on his ear. He accepted the invitation and he showed up. So apparently accepting the invitation isn’t the point. Deciding to come to the banquet isn’t the point. The king has authority, and that authority takes precedence over the guest’s. When you come to the banquet, you give up your agenda for the king’s agenda. You wear the wedding robe. You know what that means? Accepting the invitation to come to church is great, but is not what Jesus is asking. Saying “I believe in God” is great, but that’s not what Jesus is asking. Making a decision that Jesus is our personal Lord and Savior is great, but it’s not what Jesus is asking. As people who’ve been included in God’s banquet, what he is asking is that we give up our agenda for God’s agenda. In Lutheran language, we die to ourselves and are raised with Christ. It’s baptismal language. We wear the wedding robe. What Matthew’s Jesus is telling his church members is that God’s will is to be done by those who are in Christ. Even if it’s in conflict with our priorities; even if we are uncomfortable with it. Many are called, Jesus says, but few are chosen. The invitation to come, to join in is for everyone. “I’ve been invited to the banquet!” “I’ve been saved by grace!” Great, so was everyone else. But not everyone will follow the call to re-order their lives according to God’s mission. As part of the church, we give up our agenda for God’s agenda. That’s wearing the wedding robe. God’s agenda is to love unconditionally and show compassion to all and to forgive everyone and include those cast aside and to stand up for those who are pushed down. More than accepting the invitation, that’s wearing the wedding robe. Just this last week, Tiana, one of our high school students, wore this wedding robe at school. A kid in one of her classes made a horrible racist comment, using the “n” word. No one called it out. So she did. She stood up and in front of the whole class told the kid that this was not OK. That word has never been OK, and it’s not OK now. That kind of racism has to stop. Even though it meant taking the risk of speaking out in front of her peers, she stood up against racial discrimination. This is living out God’s agenda. This is wearing the wedding robe. “For by grace we have been saved through faith, and this is not our own doing; it is the gift of God—not the result of works, so that no one may boast” writes Paul to the Ephesian church. This text is one of the key themes that clarified for Luther that God’s grace includes us. We are all invited. We are all included. We are all able to attend the banquet in the kingdom of heaven. And we’re expected, as people who accept the invitation, to wear the wedding robe. It keeps slipping off, doesn’t it? God’s forgiveness is a centerpiece of God’s grace. It’s OK. We just pick up the wedding robe and put it on next time. We take a step. Maybe we aren’t civil rights leaders. Maybe we cannot organize our neighborhood compassion drive for the homeless. But we can take a step in God’s agenda. With the confidence of God’s unconditional grace, we can encourage and support someone like Tiana, who took a bold stand with Christ. We can listen to people’s stories who tell us that justice doesn’t always include them in our culture. We can learn from them and make adjustments in our own attitudes. We can let it be known that jokes that demean someone else are not appreciated. We can take a step. Surrounded and held in God’s grace, we can put the wedding robe of the king back on. And when it falls off we can put it back on again. And again. The invitation to the feast still stands. The banquet will go on. We’re still included. And, yes, the wedding robe is still there for us to wear. But filled with the Holy Spirit, he gazed into heaven and saw the glory of God and Jesus standing at the right hand of God. 56 “Look,” he said, “I see the heavens opened and the Son of Man standing at the right hand of God!” 57 But they covered their ears, and with a loud shout all rushed together against him. 58 Then they dragged him out of the city and began to stone him; and the witnesses laid their coats at the feet of a young man named Saul. 59 While they were stoning Stephen, he prayed, “Lord Jesus, receive my spirit.” 60 Then he knelt down and cried out in a loud voice, “Lord, do not hold this sin against them.” When he had said this, he died. My Uncle Tom Melville, who was very dear to me, died two weeks ago. He had quite an influence on me as Iwas growing up. He was a missionary priest in Guatemala. He would come to visit us occasionally, and told exotic stories of his adventures in the jungles of Guatemala that kept all of us riveted. Stories of good people who suffered in poverty, their struggle with an oppressive government and powerful landowners, and his efforts to bring fairness and justice into their lives. Things that make the very best stories. When I was about ten years old, I remember my Uncle Tom no longer being in Guatemala. He and his new wife, my Aunt Marge, had been forced out of Guatemala for opposing the government’s policies that kept the poor in poverty. They were also released from their vows as a priest and a nun. They had gone from Guatemala to Washington, D.C. In protest of the Vietnam War and the U.S. support of a corrupt government in Guatemala, they, along with seven other people, broke into the selective service office in Catonsville, MD, removed almost 400 military draft records there, took them out into the parking lot, and burned them. All of the “Catonsville Nine,” as they came to be called, then stood in a circle praying and waiting for the police to come and arrest them. Tom and Marge both served some time in federal prison for that. What I took away from that was that when you act with compassion for others who are powerless to act for themselves, there may be consequences. Rather than back away from acts of compassion for the sake of justice, you act anyway and take the consequences. So when I read this story in the book of Acts about Stephen, it elicits a similar reaction from me. Stephen was one of the seven people who were chosen by this fledgling Jesus movement to serve tables and do other tasks. The apostles, then, would be freed up to teach and share what this Jesus movement was all about. Stephen, however, was pretty good at preaching himself. Some who were in power were upset, accused him of blasphemy, and incited a crowd. He stood up for Christ’s gospel of peace and compassion, and was killed by those who couldn’t see God’s vision in that. Sometimes, when you act with compassion for others who are powerless to act for themselves, there may be consequences. Rather than back away from acts of compassion for the sake of justice, you act anyway and take the consequences. All my life I’ve marveled at Stephen, whose convictions were so strong that he was willing to face death rather than back away. I still do, but as I grieve the death of my uncle, something else occurs to me. When you don’t see God’s vision of peace, justice for the least, and compassion, you can easily justify throwing rocks at those who do. Like Stephen, my uncle faced significant consequences because those in power couldn’t see God’s work of compassion and justice being done by him. We could argue about whether or not his methods produced the best results—the same with Stephen, actually. Still, because they couldn’t/ wouldn’t recognize God, those in power could justify throwing stones. Think about this: throwing stones is actually anything we say and do that doesn’t support the gospel of peace and compassion. We all throw rocks. We all oppose God’s vision in some ways. And we all justify doing it. The stoning of Stephen is a big example, but there are all kinds of small ones too. Stones that we constantly tossing at other people or things so we don’t have to see the hard part of God’s vision of justice and love. Any time I try to gain something for myself at the expense of someone else, I’m throwing a stone at them. Any time I turn aside when someone else is hungry or hurting or in need, I’m throwing a stone at them. Any time I’m not hearing the pain or sadness that someone else is speaking, I’m throwing stones at them. Any time I throw blame, exclude someone who’s different, talk about someone instead of talking to them, put my own comfort and preferences ahead of someone else’s, I’m throwing stones. I’m acting in opposition to the gospel of peace and compassion. Stones themselves aren’t bad, but we can use stones badly. We have a God who is forgiving and gracious, whose very nature is compassion and redemption. Today, God can redeem our stones of opposition, and allow us to use them instead for God’s vision of peace. The very stones that were used to kill Stephen could have been used in good and helpful ways. Homes could have been built from those stones. Beautiful sculptures and artwork could have come from those stones. Roads could have been built. Even jewelry could have been made from those stones. They could have been used for beautiful, peaceful, compassionate purposes. They didn’t have to be used to oppose Christ’s gospel of peace with such violence. We have a pile of stones in the back of the church. When you leave today, take one with you. Consider the many ways it could be used. And in the same way, consider how many different ways our words can be used. How many different actions we can take, how many different behaviors we can exhibit. How many uses there are for our money and resources. All of these can be used to oppose Christ’s gospel, or to reveal it. We have been given a new chance today for the stones of our lives to be part of God’s justice and compassion in the world. When we think of a king, it’s usually about power. Which is a little different perspective than what we’re talking about on Christ the King Sunday. Christ the King has Power, that power is used to help those who have no power: those on the edges, the homeless, those on the fringes of society. Christ the King has might, that might is used in showing mercy to the least: those who live in the shadows, in fear, believe government is not for them. Christ the King has Strength, that strength is used to love those who are different or who disagree with him. Christ the King—who, while being mocked, ridiculed, scoffed at, yet revealed the reign of God in the forgiveness of those who crucified him. Who, while sarcastically being made fun of as one who cannot even save himself, was in actuality saving the world. Who, when asked merely to be remembered by a criminal, gave him paradise instead. This is how Christ is King. This is the kingdom he has brought to this world. A kingdom of love. This is the way he rules over us. Ruling in acceptance and mercy. This is the kingdom he calls us to reveal in the world. A kingdom where those who live in fear are recognized and held. You may have noticed, but we are a divided country. We have known it for a long time but haven’t done much about it. We’ve seen it happening, but have ignored it or gone along with it or even pretended it wasn’t as bad as we thought. But it is. We’ve lived it among ourselves in various ways too—drawing lines that divide us into us-and-them groups. Though we’ve been divided for our entire history, reported incidents revealing that division have increased drastically in the past year. As a congregation we embrace Christ as King. We make it a priority to proclaim and be part of this reign in the world. Which means a few things for us in this time of escalated division. First—all are welcomed, valued, and respected in this place. One of this congregation’s values. Period. End of discussion. All means all. No matter how you voted, or if you didn’t vote at all, this will be a safe place for you. Democrat, Republican, Independent, Libertarian, Green, Socialist, non-political, you are welcomed, valued, and respected in this place. All means all. Which means that married, partnered, single, divorced, widowed, Lutheran, other Christian, Jewish, Muslim, Buddhist, Mormon, agnostic, atheist, non-religious, you are welcomed, valued, and respected in this place. All means all. Which means that gay, straight, bisexual, transgendered, questioning, unsure, you are welcomed, valued, and respected in this place.All means all. That means whatever language you speak, whatever country you or your ancestors came from, whatever documentation you may or may not have, you are welcomed, valued, and respected in this place. All means all. Because Christ is King and we reveal his kingdom in this world, you are welcomed here, valued here, respected here. But Christ as our King means something else too. Seeking to proclaim and make real his kingdom in the world also means that although all people are valued here, not all things are held with equal value here. In the kingdom of God hatred is not valued. 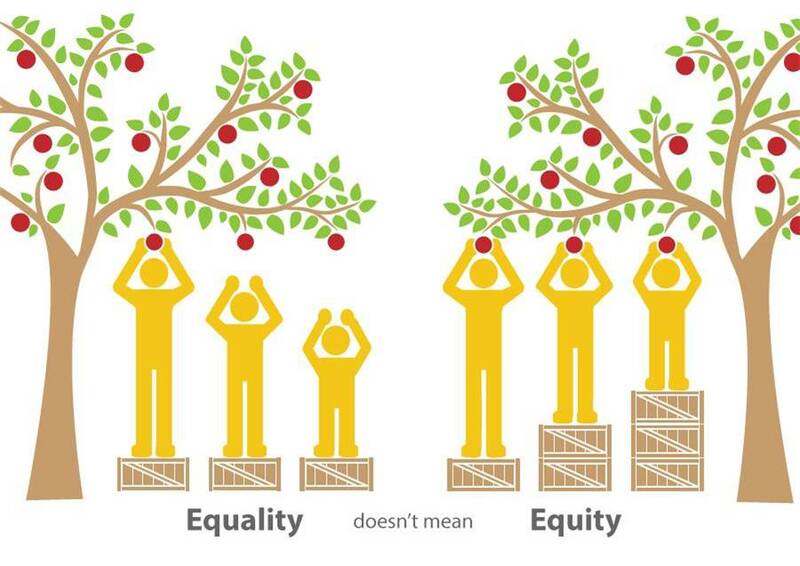 Exclusion is not valued. Lying, sexism, homophobia, persecution of any religious group, sexual assault, inciting violence, judging those who hold different opinions are not valued in any place where Christ is proclaimed as King. This isn’t about politics. It’s not sour-grapes about winners and losers in an election. It’s not red vs. blue, not electoral college vs. popular vote. It’s not about patriotism or protests. Nothing that temporary or trivial. No, this is much more significant than that. This is about who we are as baptized children of God, called by God to be a light in the world. Know that you are welcomed, valued, and respected in this place. But some of the things our country revealed and supported in this election are not. Check your politics at the door. Because in this place, among us, Christ is the King. And his kingdom of forgiveness and love will be proclaimed among us and by us. His kingdom of compassion and mercy will be revealed through us in this divided country. Christ is the king. And thanks be to God for that.